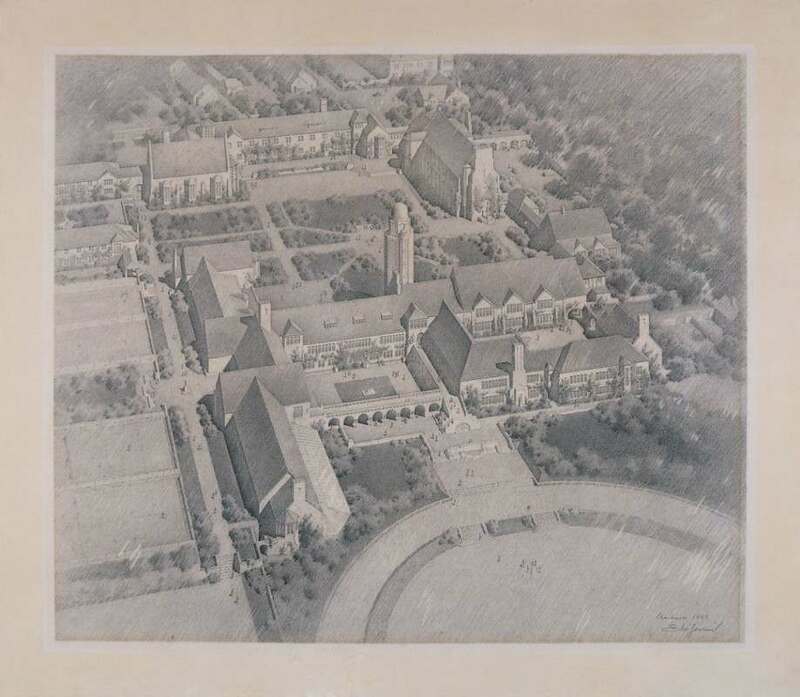 Eliel Saarinen "Cranbrook School for Boys, Aerial Perspective," 1926. Pencil on Drawing Board, 26 ¼ x 29 ½ inches. ©The Detroit Institute of Arts, Detroit, Michigan. Photograph by Dirk Bakker. “Vision and Interpretation: Building Cranbrook, 1904-2012” presents the architectural legacy of Cranbrook as an artistic narrative emerging from the visionary ideas of George Gough Booth. During the early 1900s, Booth’s vision was realized through collaborations with renowned architects and craftsmen, including Albert Kahn and Eliel Saarinen. More recently, the campus has been interpreted by contemporary designers offering contrasting and complementary projects on the National Historic Landmark site. “Vision and Interpretation” is a collaboration between Cranbrook Art Museum and Cranbrook Archives.